Are you the ultimate adventurer? Can you achieve perfection? Are you up for the Challenge? 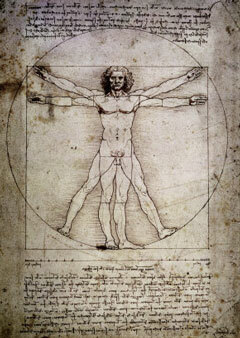 Leonardo da Vinci’s Vitruvian Man is the “Man of Perfect Proportions”. When it comes to adventure, the Vitruviaxs is the “Adventurer of Perfect Proportions”. To be crowned with the Vitruviaxs Award you must show perfection by completing three 50+ mile races in a single season. Those who complete the challenge will be awarded the custom hand crafted “Vitruviaxs” Medalion. You can race as a Solo or on Team, or a combination of the two. The course must be completed in full, reaching all CP’s and completing all disciplines in the time allowed, for a “perfect” finish. All rules must be followed as specified in the instructions for each event. The instructions handed out for each event will outline the requirements for a “perfect” course should various route options or choices exist for that given race. The VitruviAXS is 4.5″ tall with a spinning center medallion.